Once again, career law clerks rock! « Hercules and the umpire. Once again, career law clerks rock! Yesterday, the Omaha World Herald published a story about GolfStatus and the bright lawyer behind the software company that is making a mark in the smart phone world. For reasons you will see next, that article was further proof of a subject I posted about before. Per the article, the GolfStatus company writes free apps that allow golfers to connect with other golfers, post scores and discover new courses. At the same time, the company is launching a mobile rewards network, intended to help golf courses and businesses market to customers through achievement and loyalty-based rewards. The company recently offered its first Android app and updated its iPhone app. 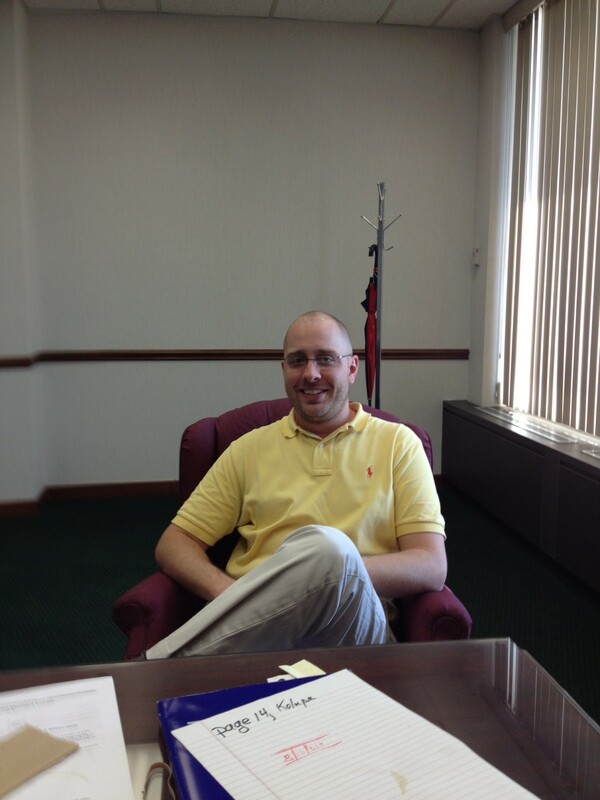 I am pleased to say that Ryan’s day job is working for our court as a career law clerk under my supervision. * He is a pro se staff lawyer who also doubles as a part-time elbow clerk for me. I am very pleased for and proud of Ryan. Ryan is the perfect example of why I rely exclusively upon career law clerks. They are very bright and they are serious and mature adults whose judgment I value highly. They are also fascinating people with varied interests outside the legal profession. *Under Canon 4 of the CODE OF CONDUCT FOR JUDICIAL EMPLOYEES, Ryan is permitted to engage in outside business activities (except for the practice of law) with my approval. **To be clear, I don’t “endorse” Ryan’s business. Indeed, I don’t even play golf.